Lion Fish, Invasive Species, 8-31-14, Fort Myers Fishing Report & Charters ~ #FortMyersFishing. Fort Myers fishing report: Lionfish, an invasive species in Southwest Florida. 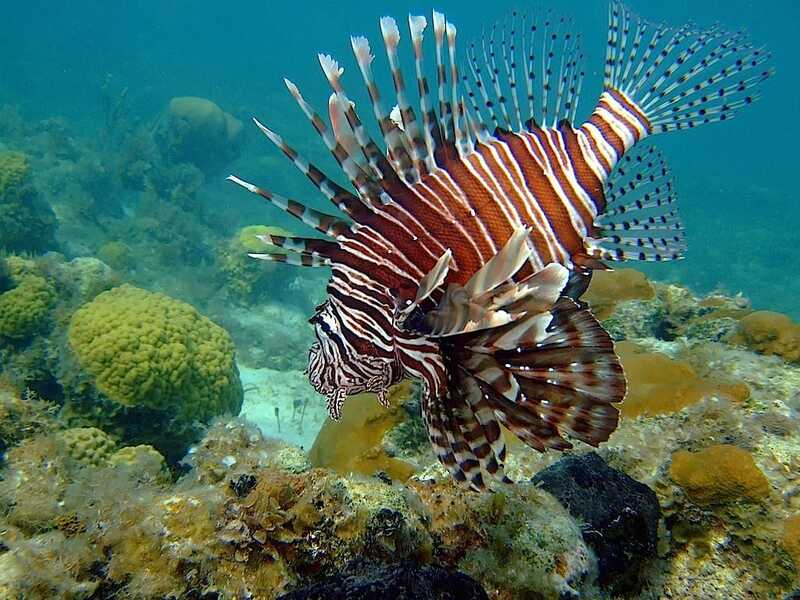 Lionfish are an invasive species threatening Florida’s saltwater fish, wildlife and habitat. The Florida Fish and Wildlife Conservation Commission (FWC) encourages people to remove lionfish from Florida waters to help limit negative impacts to native marine life and ecosystems. Lionfish can be speared, caught in hand-held nets or caught on hook and line and there is no recreational or commercial bag limit. For more information, see the Florida Fish & Wildlife Conservation Commission site. Most of the time we’re within casting distance of land, fishing the mangroves, or the oyster bars or the passes; we’ll go out a mile or two into the bay or gulf if we’re looking for goliath grouper, or tarpon or sharks. Please see our Sanibel, Captiva and Florida Fishing Report sites for charter photos from our other captains and additional fishing reports! Please call 239-472-8658 to book a charter. Daily Fort Myers Fishing Report & Info On Fort Myers Fishing Charters; Sanibel, Captiva, Fort Myers Fishing Trips For Families & Children; and Boca Grande Tarpon Sport Fishing Charters with Captains Joey Burnsed & Josh Schardin!